Director Ridley Scott spoke between screenings of Alien and Blade Runner at the Los Angeles Times Hero-Complex Film Festival last night. Scriptflags was present when the British Director was questioned on his upcoming return to the franchise. 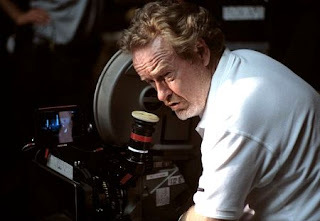 I'm reading: [RIDLEY SCOTT] DISCUSSES [ALIEN PREQUELS] AT L.A HERO COMPLEX FESTIVALTweet this!